Our new online chat feature is handy, but if we don't answer right away, please leave us your contact info so we can get back to you asap. While we strive to keep our most popular products in stock, many of our products are made-to-order or could be temporarily out of stock. If your order includes an item that is not ready to ship within one business day, we will contact you with an expected lead time as soon as possible. Dove Lighting Systems, Inc. produces high quality lighting controls that professionals demand, while being easy to use and afford. Our products are Rugged, Reliable, and Made in the USA! Please contact us for help putting together the right system for you. 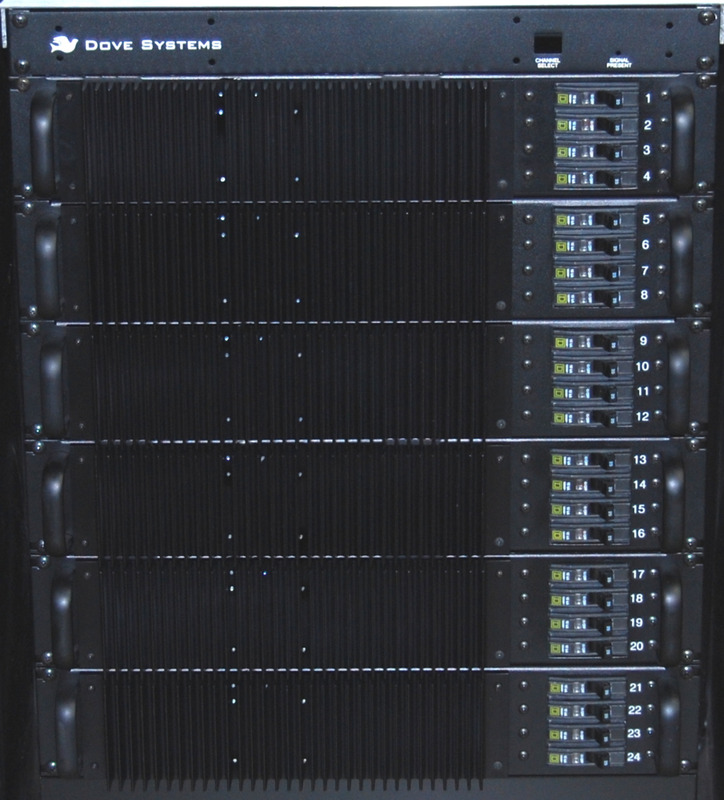 DOVE LIGHTING SYSTEMS has been in business manufacturing lighting control equipment and accessories for thirty years, supplying churches, schools, theaters, studios, and a variety of other venues with lighting equipment and thorough technical customer support. We have extensive experience in simple stage or theater lighting systems, but we also build professional lighting rack systems from small school stages and television studios to large auditoriums. While we specialize in light dimmers and lighting controllers, we also do custom designs, including LED lighting control. Dove Lighting believes in making sure all our customers are satisfied with their purchases, and we offer a one year warranty on all our standard products, as well as tech-support M-F, 8-5p. Please contact us with any questions you may have, from a single LED light dimmer control to the Disneyland Christmas parade! You are the most important part of Dove Systems, and we would love to hear from you. Questions about our products, orders, requests for new products/features, complaints, or praise – we want to know.